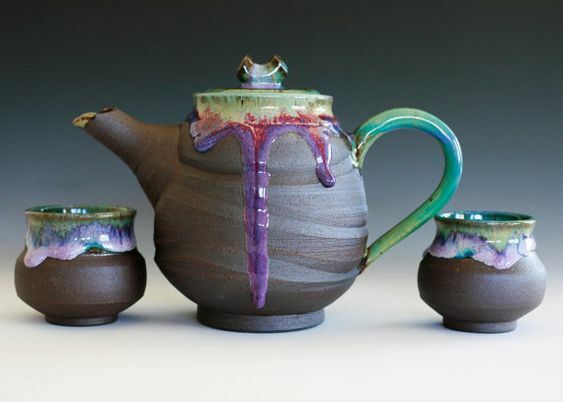 If you have time, create cups to compliment your teapot. Also, don't forget that everyone needs to complete their 2nd wheel thrown piece by December 13. The art room will not be open during midterms for you to do this. December 13 is the deadline to have it thrown, trimmed and signed and left to dry upside down in the clay room. This piece will be graded on merit not complettion. I love the glaze of the first one, but i love the idea on the second. I like how the second one has hooks to hang the cups on. 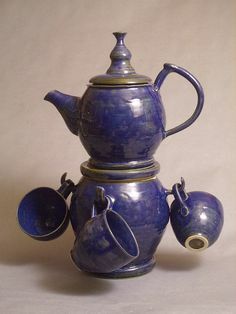 The teapot "stand" is pretty cool too! I love the 1st one!! 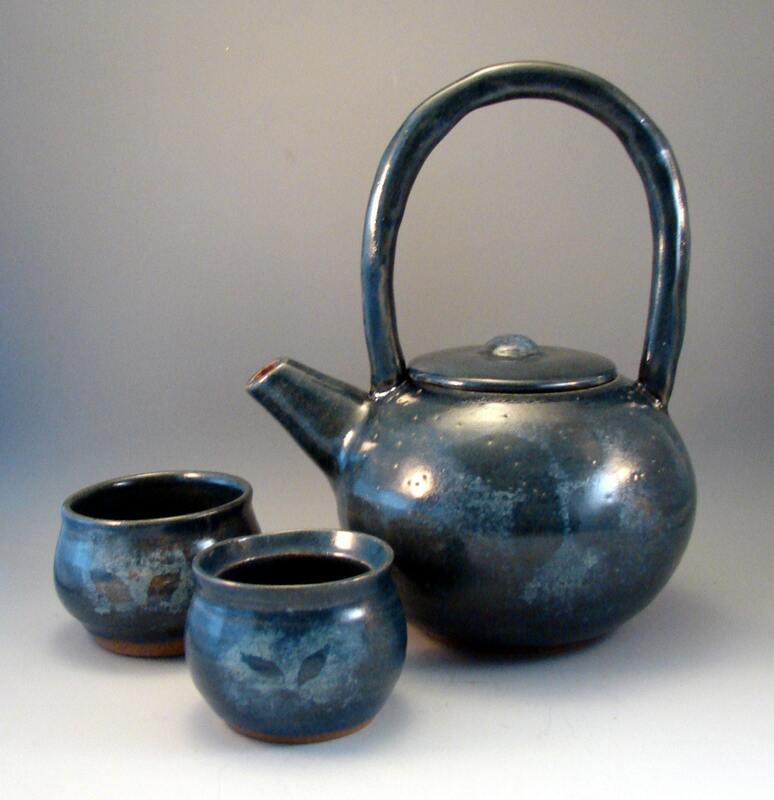 The glaze on the first one is really cool.